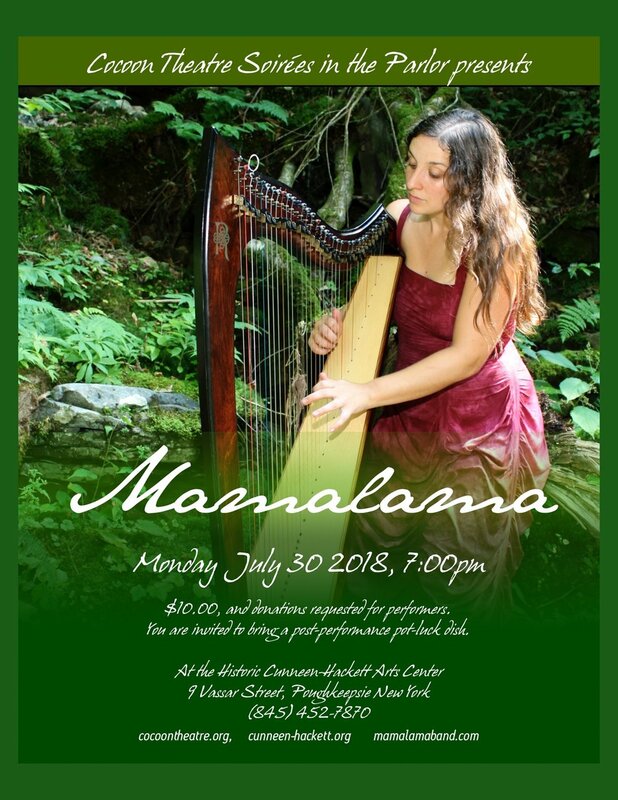 A listening experience that has been described as "like walking into a dream," Mamalama seamlessly weaves together world music (Native American, Middle Eastern, Celtic), classical minimalism, early/sacred/renaissance, psychedelia, indie-chamber music, and vivid lyrical mysticism. Mamalama is an uncommon orchestration of harp and ethereal voice, hammered dulcimer, glockenspiel, melodica, tenor recorder, piano, tenor mandolin, quena, charango, panpipes, and choral voices. Mamalama has produced three CDs, and read and hear more about the band and their music at http://www.mamalamaband.com.